I have only used this product a few times and I must admit I have fallen in love! I don't want to use it too often as I have this fear that it will run out before it is launched in the UK! I brought mine of Sephora as they now do international shipping. However it is out of stock at the moment and Cult Beauty will be releasing it here in the UK around July! I will definitely be purchasing another palette to stock up! Since I began contouring about a year ago, I have always used Sleek contour kit in medium. Sleek contour kit works really well and I have never had a problem with it! It is a cheaper alternative if you guys are looking for one. So why do I love this one so much more compared to Sleek? 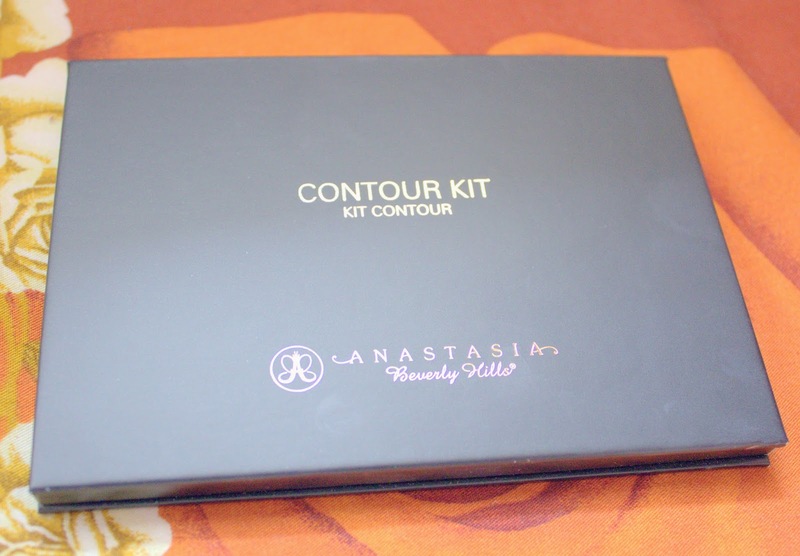 Anastasia contour kit goes on smoothly and evenly when applied to the skin. It does not give a harsh line like Sleek does. I didn't realise how much time I was spending trying to blend in my contour line when I was using Sleek as it is something I got used it. However since using the Anastasia palette I realised how blending time has been reduced significantly! As soon as I apply it to my face it kinda blends in straight away! There are no harsh lines to begin with and you can easily define the line and make it stronger or if you prefer you can just apply lightly and get a every day natural contour look. There are six colours in the palette. I really like the setting and highlighting powders. It helps that there are also three dark contour colours as that further helps to create that gradient look and to blend it all out. I always would have to use a blusher with my Sleek palette which never bothered me to be honest but with this palette I have noticed I can get away with just highlighting and contouring! A bonus if you don't like using blushers! The colours are from top left to right Vanilla, Banana, Sand, Java, Fawn and Havanna. Sand has specs of shimmer as you can see in the above picture, so it can be used as a highlighter on top of your cheeks, down the middle of your nose and on top of your cupid's bow. All the other 5 colours have a matte finish which is great as I don't like to use shimmer when I contour! I really like Banana powder as it helps to brighten up my under eyes and gives it that highlighting illusion. I have tried Kim K banana powder which I didn't like as it creased my under eye makeup. This does not crease my makeup at all! Yay! I also love Havanna to contour when I want a dramatic look! 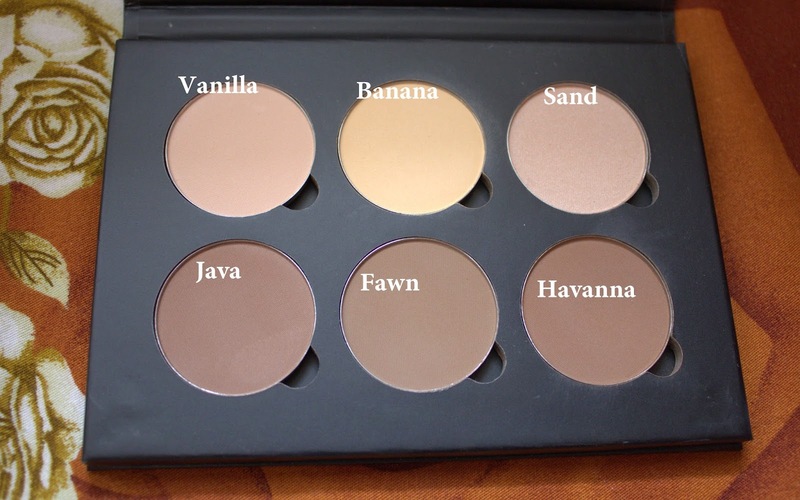 I do use Havanna a lot but on a normal day I also use Java mixed in with Fawn to create a gradient and to blend it out so it looks more natural and not harsh. 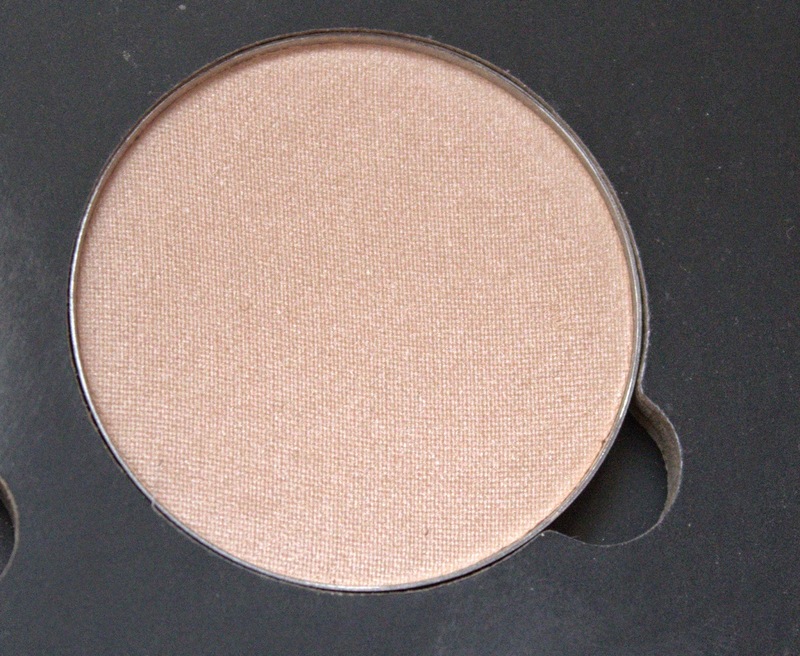 However for a night out Havanna is perfect on its own, and Java and Fawn can be used as blushers for blending. Vanilla has a pink undertone hence I haven't really used it. However I will be experimenting and I will find a use for it! I really think this palette is worth it even if it is costly because it works really well and I love how powdery and smooth the application is! The colours are suitable for fair to dark skin tones as there is a variety. The colours also last all day and I never need to top it up. I would like to say I think it will last you a while as the refill pans are not too small and also because the colours are pigmented so you will not be using too much of the product! One thing I don't like about this palette is the packaging. It is made out of thick cardboard box and I think for the price you are paying it could of been made out of plastic or more hard wearing material other than that it is perfect! Don't forget to leave me your comments and let me know what you think about this palette if you already have it or will you be purchasing it when it is launched in UK?